Our beautiful single long stemmed preserved roses make a wonderful and long lasting gift to suit any occasion. The roses are soft to the touch and have an amazing vibrant color thanks to the way they are lovingly preserved. They need no water and will last for several months or more. They come in a choice of colors and are delivered in a luxurious silk lined box with the option of a message to be enclosed. 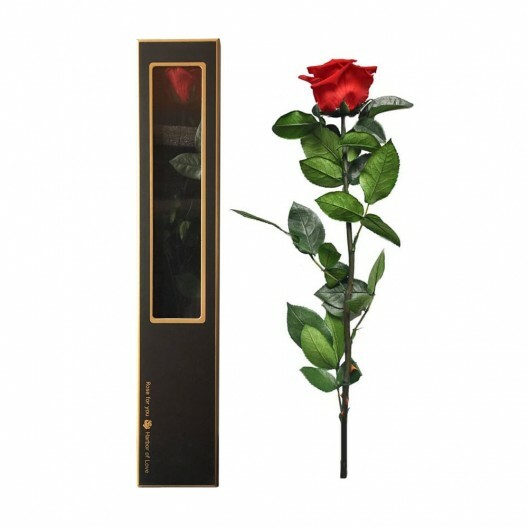 The roses are a stunning gift idea for a special occasion and the ultimate romantic gesture. Our preserved red rose is a wonderful alternative to a fresh rose. With a deep and vibrant color it is a 100% natural rose that has been preserved to last for many months without the need for watering, light or attention. A red rose is often given to show love, passion or romance and it’s the perfect gift to say ‘I love you’ and not just on Valentine’s Day. 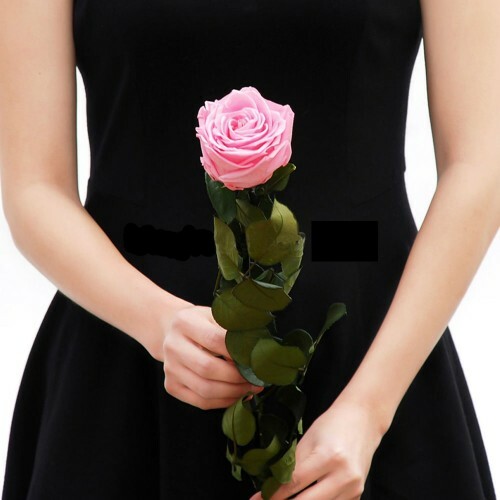 The rose length from top to bottom is 45cm and the head is 7-8cm wide. FOLLOW THE STEPS TO MAKE YOUR PRESERVED ROSES LAST LONGER. •	One year guaranteed lifespan without sunlight, water or excessive heat. 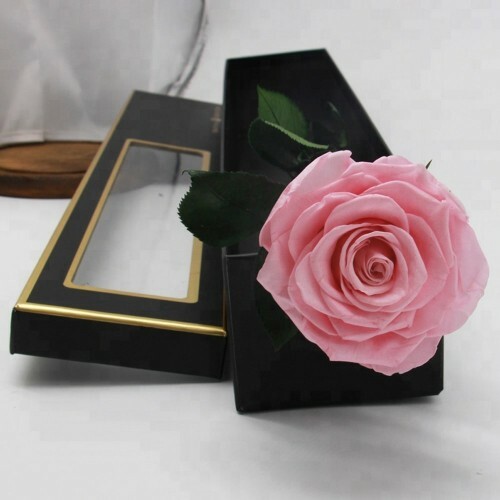 •	Preserved roses do NOT require any water!! It may cause damage to the roses. •	UV-light may cause color bleaching, try to keep the arrangement in the room. •	Do not take the preserved roses arrangement outside of the building. 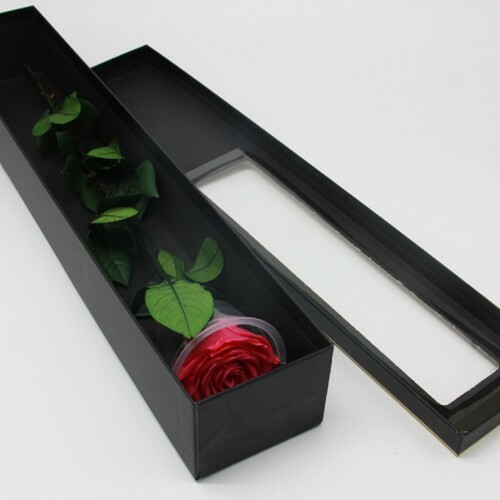 •	Keep the roses in room temperature, away from the window, in low-humidity environment. •	If dust collects after a few months, remove it lightly using a soft brush. •	DO NOT place anything onto the roses as they can crush and damage the roses. •	Be mindful when carrying the arrangement: it’s a very delicate product! A rose which looks and feels like a freshly-plucked rose, with a silky-soft sheen and which lasts for more than a year!